The ‘virtual’ style and approach to consulting engineering, in turn, offer an innovative, focused and approach to projects, thus optimising clients’ time and enabling them to focus on their own core activities. To redefine and ‘virtualise’ the consulting engineering industry. 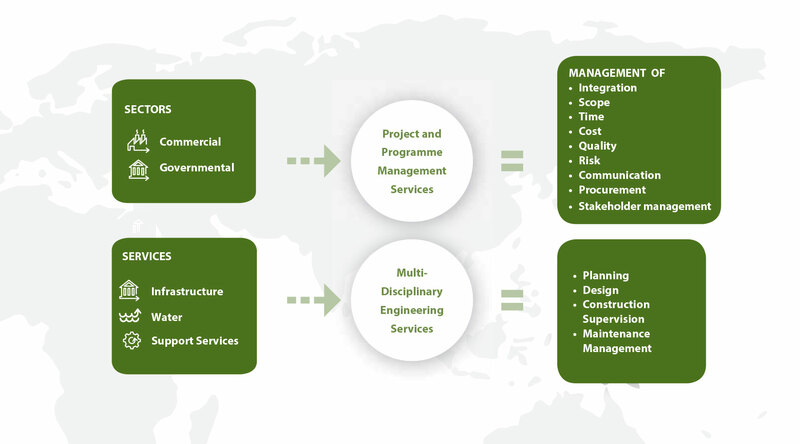 Virtual Consulting Engineers is a dynamic project management and consulting engineering company, well-positioned to initiate, procure selected to suit each individual project. A high priority is placed on the motivation of the company’s employees and associates. The company believes that the foundation for success is a motivated work force that is prepared to take ownership of concepts and turn ideas into reality. Virtual Consulting Engineers continuously strives to redefine and, indeed, ’virtualise’ the consulting engineering industry. was founded to attend to almost every need of the water sector. Umfula Consort drives service delivery through innovation in the water sector.